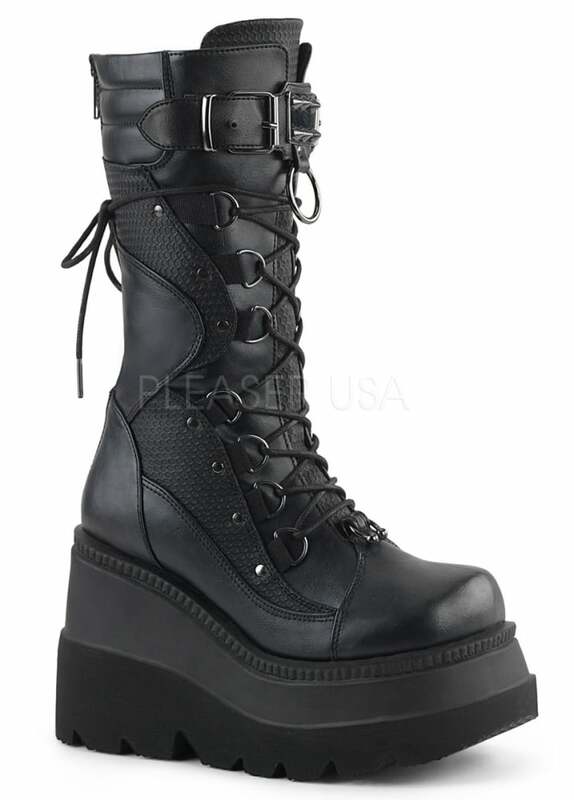 Check out the Shaker 70 Gothic Wedge Boot from Demonia. This awesome mid calf, vegan leather boot has curved patterned panels, O-rings and a horseshoe ring at the toe. The boot has a laced front, zip back and top buckle strap with spike studded plate.